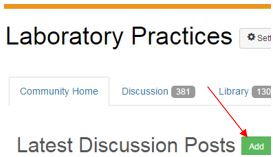 1.Navigate to the landing page of your community and click the ‘Add’ button above the displayed discussions. 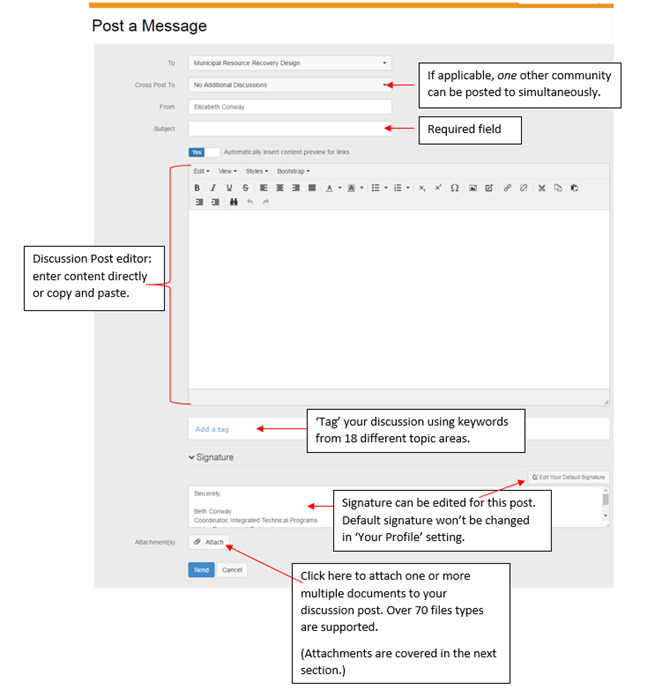 2.Fill in the fields on the resulting ‘Post a Message’ page. 3.Click the blue ‘Send’ button at the bottom of the ‘Post a Message’ page.